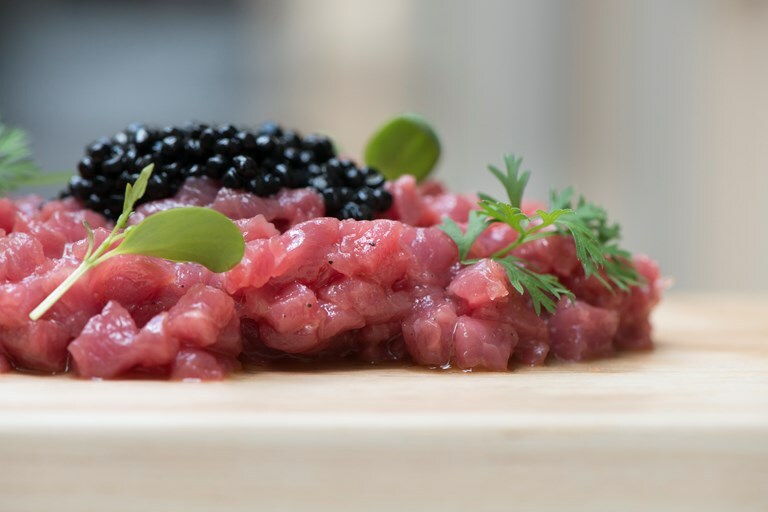 Marco Stabile lightly marinates beautiful beef fillet in pilsner lager for his tartare recipe, then serves with a spoonful of black truffle caviar, giving a wonderfully earthy finish to the dish. Stabile uses Fassone Piedmontese cows when cooking the dish in his restaurant, but if cooking at home use good-quality local beef of your choice. One of Tuscany’s most important chefs, Marco Stabile honed his craft in some of the most respected kitchens in Italy. He now runs his own Michelin-starred restaurant, reimagining classic regional dishes and bringing them into the 21st century.